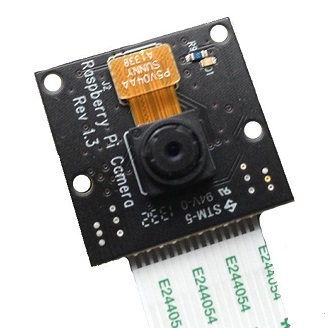 The Raspberry Pi Camera Module also comes in NoIR, this stands for No Infa Red. This means that you can use the camera to take photos and video footage in the dark, yes, just like a night vision camera. The camera set up and the commands are the same as used with the regular Pi Camera module, no change there. The first step is to add the camera to Raspberry Pi board. It is IMPORTANT that you ensure that you remove all / any static by touching a say, radiator first. The camera can be damaged or destroyed by static. The blue part points away from the HDMI port. 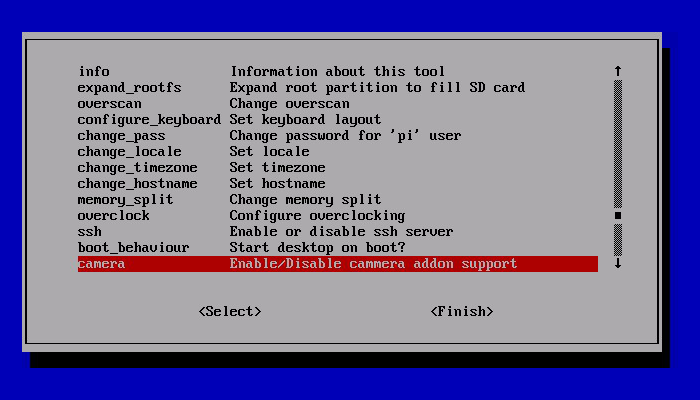 sudo raspi-config and enable the camera as shown below, then reboot. To test that the camera is working correctly, enter the following code in the LX Terminal, raspistill -v -o test.jpeg. There should be a preview on screen and a picture will be taken and saved as test, this will be saved in home / pi folder. The other parameter is the –t which is the time in milliseconds that a preview will be displayed for, the default preview time is set to 5 seconds. When using raspivid the –t refers to time that the camera will film for. 3. But wait, it does not work! But wait, you will notice when you take you first shot in the dark that it does not work, there is not night vision spy style photos. There is no fault and the camera is not faulty. What you require is an Infa-Red LED or a selection of them, and, I have the perfect solution. The LISIPAROI is an add on for the Raspberry Pi camera module, and has been designed to provide additional illumination when taking pictures or recording video. It also features extra mounting points which is perfect for using custom mounts or even a gooseneck holder. There are two versions, a standard for the the orginal Camera and also and IR version. The infrared LISIPAROI (noted with clear LEDs) has 12 infrared LEDs arranged around the camera module to offer a wide spread of light when used in low/zero light conditions making it perfect for security or night wildlife activities. Each LED has a wavelength of 940nm, perfect for the PiNoir module. Connecting the LISIPAROI is easy, simply, take four female to female leads and attach them to the pins on the LISIPAROI, then connect the camera wire to the camera. Connecting the pins to the Raspberry Pi is easy too, each pin is labelled, 5V, GND, GND and GPIO. 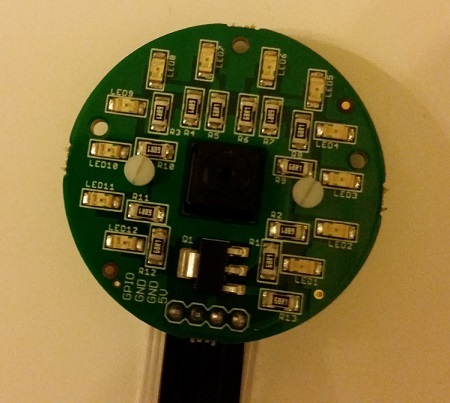 The 5v and GPIO pins are easy to locate and there are several ground or GND pins you can use. Because you are using the physical board pin number remember to count them to ensure you have the correct pin number in the code. 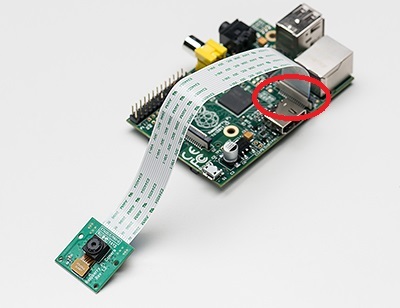 For example GPIO 10 is physical pin number 17. Now you have your LISIPAROI connected and ready to take a picture. Use the example code below check it is all working correctly.